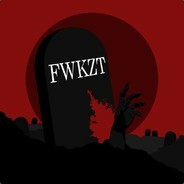 We are looking for more GMOD scenes to be added to the server loading screen as well as the front page of the FWKZT website. We are looking for scenes that portray what playing on FWKZT is like in addition to being well-lit with attention to detail. Simply reply to this thread[fwkzt.com] on our forums with links to your scenes in addition to providing a viewable screenshot. From there, administration will pick and choose the ones of best quality. I've never made scenes before, how do I do so? Even if you've never made scenes before and have little artistic ability, you have the power to create stunning GMOD scenes! Here is a really good tutorial that goes in-depth from adjusting GMOD settings to a hand-picked collection of addons that will make creating beautiful scenes easy! Good luck, we look foward to seeing what you, the community, can create!